1958 . 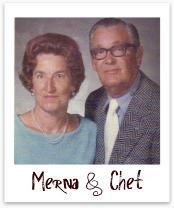 Chet & Merna Barwick established a tent & awning company, and later diversified into manufacturing tarpaulins. Their son Bob was working with his parents at the age of 13, helping with every aspect of the business from sewing and creating frames to delivery and installation. The 1960's . Bob marries Janet, his high school sweetheart in 1964. After serving time in the Army, Bob returns to his lovely bride and they begin their own tent & awning business as well as an upholstery business in Iowa and Missouri. They had two daughters, Angie & Jayne. The 1970's . 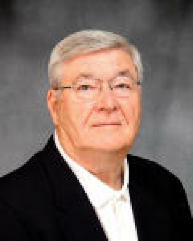 Bob & Janet purchased the family business from Chet & Merna in 1971. They moved their girls to Montevideo, MN where they bought a farm site and set up shop in a pole barn. 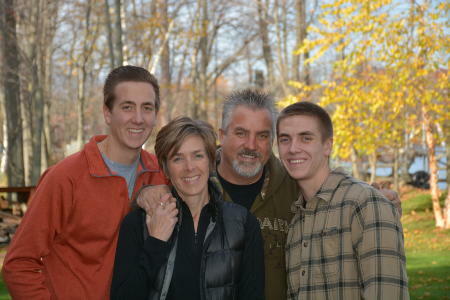 A couple of years later, along comes their son Joe. In those early years of business, Bob & Janet worked many long hours establishing themselves in the industry and raising three children along the way. In fact, Angie & Jayne remember many nights sleeping on a mattress in the office while their parents would work through the night (with Janet being 8 months pregnant) to get the orders out the door. That dedication resulted in Barwick Manufacturing becoming a national leader in the agricultural covering industry. The 1980's . With diversity in mind, Bob & Janet began to expand their business. They purchased a former drapery company and began producing curtains for the manufactured housing industry. Shortly thereafter, they purchased a quilting machine. With the sewing factory and employees in place, they expanded into the hospitality market, with Bob knocking on doors of hotel owners and operators. Barwick Manufacturing has made a name for itself as a bedding & drapery workroom. The 1990's . Along with the business growing, so has the family! The kids were getting married and having babies, Angie (now Angie Peters) joined the business in 1994 and Barwick Manufacturing continued to grow into one of the leading workrooms in the Midwest. A major expansion fell in line with the company's growth, resulting in a new state of the art facility. The 2000's . We begin to market ourselves "Inn Fashion". The biggest change took place in 2009 when Angie chose to continue on with the family tradition of taking over the company. She is the third generation owner of the family business. With this transition in place, we are now a 100% certified women owned company that has a combined 100+ years experience in the business with employees and owners. Today . Inn Fashion continues to grow and expand in the hospitality and health care markets. For over 50 years, the family business still prides itself in producing a quality product, at a fair price and providing excellent service. Angie Peters , joined Barwick Manufacturing in 1994 and is now the third generation President & CEO of Barwick Manufacturing Co. With roots in family business and the strong work ethic her parents have instilled, she has gained knowledge to oversee all aspects of the business. Angie recently received WBENC certification as a Woman-Owned Business Enterprise. Prior to her move to the family business, Angie enjoyed working in the Twin Cities in the accounting departments of WLTE-FM Radio, MCP Publishers and the California Cafe Restaurant Corporation. Angie and her husband Mike were married in 1993 and moved to Montevideo in 1994. They have two sons, Adam (20) and Andrew (18), and two labs, Stella and Marlee. They live in the home that Angie grew up in and enjoy being part of the community. Mike is self employed as an electrical contractor. When not busy with the family business and the boys' sports and activities they enjoy spending time with family & friends, hunting, fishing and traveling. They have become advocates for the Juvenile Diabetes Research Foundation (JDRF) since Adam's diagnosis in early 2010. Angie is also an advocate for Susan G. Komen, having participated in multiple Breast Cancer 3-Day 60 mile walks. 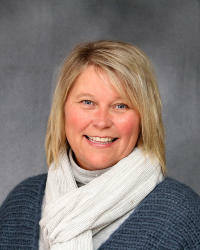 Angie attended the University of Minnesota - Duluth and is a graduate of the St Cloud Business College. Bob Barwick, along with his wife Janet, the second generation owners & operators of Barwick Manufacturing Co., built the business to what it is today. A true salesman at heart and a strong believer in our products, Bob will occasionally come out of retirement to knock on doors for us. He continues to strive to provide our customers and potential customers with the best quality product, at a fair price, with excellent service. 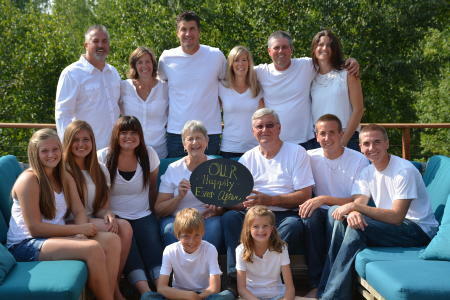 Bob and Janet enjoy spending time with family & friends and traveling in their motor home, but their most cherished time is spent with their seven grandchildren. Every chance they get, they enjoy being their biggest cheerleaders at their tennis matches, basketball games, swim meets, baseball games, softball games and musical events. Cherie Niemeyer came on board with Barwick Manufacturing in the fall of 1999 as the Customer Support Specialist / Project Manager. With over 10 years prior experience in the customer support field with a seasonal decoration company, Cherie has brought the knowledge and understanding of working well with customers and making sure that their products are completed on time and as ordered. Since joining the company, Cherie has diversified into managing our bedding and drapery production departments as well. In her spare time Cherie enjoys spending time with her family, which includes her husband Jim and her children Aleisha (22) and Andrew (19) as well as her 4 legged family - Jack, Major and Smalls (even though judging by her size, she should be re-named "Bigs"). She also enjoys numerous other activities such as riding horse, hunting, fishing and reading a good book. 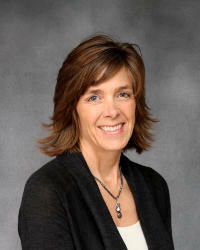 Cherie attended Ridgewater Community College and Minnesota West Technical College where she obtained her Administrative Assistant degree. She looks forward to being a team player in the Barwick Manufacturing / Inn Fashion organization for many years to come!